This article by Nzau Musau from Kenya’s Star revisits the circumstances of Marley’s death. Follow the link below for the original report. Robert Nesta Marley, the Jamaican reggae hero who was extensively quoted at the just concluded African Union Jubilee Summit meeting in Addis Ababa died a slow and excruciating death this month 32 years ago. One could say he was neglected, forgotten and taken for granted by those whom he trusted – the ivy who insulated him and mindlessly sucked out his musical success. Details pieced together from writings on Bob as well as the recent Kevin MacDonald’s “Marley” documentary reveal a painful story of a man who was left to waste away his musical genius and succumb to an early death. On May 13, 1977, bob had badly injured his big toe while playing football against French journalists in Paris. He went on with his performances. In fact, it is a few weeks after the injury that he performed at the now famous London “live” gig at the Rainbow Theatre. The wound deteriorated and got uglier by the day as he continued to perform and play football even after cancerous cells had been detected in it. At the instigation of the Rastas around him, he rejected amputation of the toe and opted for a lesser aggressive surgery and moved on with his life. In “Marley”, Wailer’s lead guitarist Junior Marvin claims Bob got bad advise from people around him. Some told him he wouldn’t be able to dance on performances if he agreed to cut the toe. In the same documentary, his long time producer and the man who introduced him to the European market – Chris Blackwell – confesses that he’d forgotten about Marley’s health problems by the time the singer collapsed almost five years later at Central Park on September 21, 1981. “I knew he had problems with his toe but I’d forgotten about it. If he was going to regular clinics, he would probably be around today,” Blackwell says in award-winning documentary. The night before, as Timothy White recalls in Catch a Fire, Bob had woken up dazed and had trouble remembering the now famous show he held at Madison Square Garden with the American The Commodores. When he collapsed and with foam frothing in his mouth, the Rastas around him, as one of the tour members recalled, simply lifted him up, made some incantations in patois and took him back to his hotel. They didn’t even bother to tell Rita, his wife, who was also in the tour. The same Rastas made a decision to continue the tour with the sickly man. They dragged him to Pittsburg for another show where he ended up sitting on a stool and playing redemption song as the other band members watched in unmistakable fright. Before that, Rita had tried to stop the tour after noticing that Bob looked ancient and drawn. White reports that when Rita suggested to Bob that they cancel the tour, he said: “Dem seh nuh,” meaning Bob’s road manager Allan Skill Cole, Danny Sims and the booking agency. “It makes nuh sense ta stop da tour. If dey stop da tour, Bob is gwan die anyway,” White reports Cole as telling Rita directly. Eventually the tour was cancelled and Bob admitted at Manhattan Memorial Sloan-Kettering Cancer Centre for radium treatment. The hospital detected cancer tissues in his liver, lungs, brains and were spreading to other vital organs. Perturbed by media reports about his hospitalisation, he left the centre and headed to Cedars of Lebanon Hospital in Miami. He did not last long there too. He left for another cancer clinic in Mexico. Seeing the end was nigh, Rita secretly arranged to have her husband baptised in the Ethiopian Orthodox Church on November 4, 1980. He took the name Berhane Selassie. Shortly thereafter and on recommendation of a Jamaican doctor Carl Fraser, Bob went to seek help in Germany. He was taken to Dr Josef Issels whom the Rastas suspected had been a Nazi doctor. White reports that Bob was first elated when he turned up at Issels Ringberg Clinic in Bavaria. “His deep depression returned with full force, however, when he entered the elegant, well appointed reception hall and saw the large, gruesome crucifix hanging in the alcove above the main staircase,” he says. It was here in Bavaria that his locks, his identity as he called them, were cut and not at the chemo sessions in the US. In “Marley”, Ciddy Breakspeare, Bob’s girlfriend, attests that they decided to cut them because they were heavy and were weighing him down. “I remember it was us the women, all of us. We gathered together, lit candles. We were reading from the book of Job and we just cut. That was quite a night,” she recalled the anguish of shaven Marley. Dr Issels is said to have placed Marley on his unorthodox treatment which entailed exercise, vaccines, injections, vitamins and trace minerals among others. Some writers have said that Issels tortured Marley too. He plunged long needles through his stomach through to spine as part of the treatment. Writing in the Covert War Against Rock, Alex Constantine says the torture continued until Marley foundered on the brink of death. He quotes Bob’s mother Cedella Booker testifying to this horror. He says that with every visit, Bob’s mother found him smaller, frailer, thinner. He says starvation made it worse. He quotes the mother as saying that for a whole week, he would be allowed no food apart from what he got intravenously. He was wasting to a skeleton. He would weigh 82 pounds on the day of his death. The Rastas kept visiting him and cheering him up. 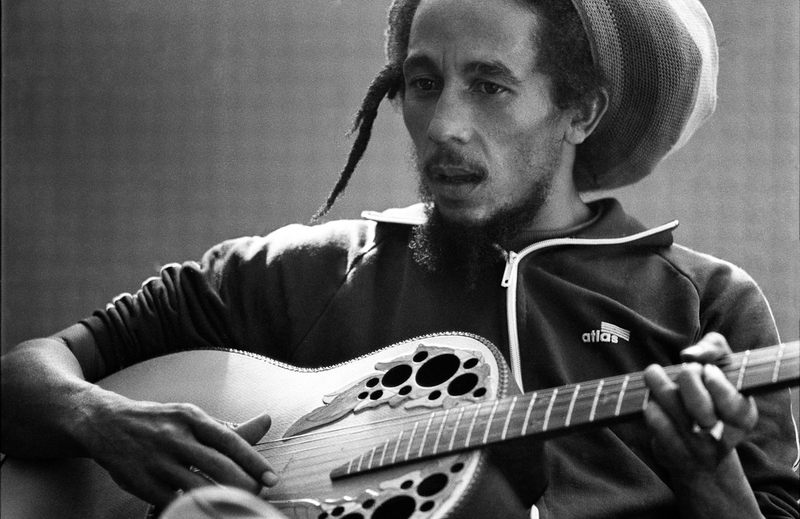 In “Marley”, Neville remembers his last visit to Bavaria when he found Bob with a stroke on his left side and frustrated because he couldn’t finger the guitar. “When I left him I thought he’d turn better. He was trying tell me that he was going to beat this t’ing, you know, al beat dis t’ing,” Garrick says. Issel’s eventually gave his patient a notice of death; that there was nothing more he could do for him. Diane Jobson, Bob’s lawyer, says in Marley that Issels said if they had to leave his clinic, they had to do so within 48 hours. “We decided to rent a plane. Bob wan know if it’s a Concord and I said, no Concord,” Jobson laughingly attests to Bob’s sense of humour at his dying time. He was flown to Miami where most of his children had been gathered. His eldest daughter Cedella attests that his father looked “so tiny” in the Kevin Macdonald film. He died a few days later on May 11, 1981.
u guy check youre dates right…how did Marley collapse on Sep1981 yet he had already passed on in May the same year?? ?